The Italeri Pave Low kit has a number of problems. The tail rotor is backwards. The bottom blade moves towards the ramp in the real H-53. The biggest problem with the kit is the main rotor blades. They are the wrong type. The kit blades are the original aluminum blades used on the early HH and CH-53s. The blades for a Pave Low should be titanium. The blade’s shape is different. The only big difference between a MH-53J and a MH-53M is the cockpit instrument panel. Please don’t confuse a MH-53J/M with a CH-53E or MH-53E. They are totally different helicopters. Any conversion parts for the “E” model helicopters will not work on a “J/M” model helicopters. That´s the reason I asked about the Eduard PE kit, I wasn´t sure it would work for the J version. I think that I´m gonna make the heli "out of the box" because I can´t find any aftermarket pieces for it, so I´ll try to scrath what I could. Thanks again for the useful info!! Yes the USAF color is actually called AFSOC (Air Force Special Operations Command) Gray, but the closest model color is Gunship Gray. I retake this post because I´m gonna start with this bird but first I´d like to confirm the color for a USAF scheme. I think it´s Gunship Grey (same as HH-60G, Hercs and F15E) but I´m not 100% sure. I´d like to ask you if some of you know if the Eduard´s exterior photoetches (are for a MH53E) would be valid for the J/M version. At least the belly and cargo bay photoetches. I know that cockpit parts would not be valid for the J/M. I've found this same info in americanspecialops.com too. I've found some photoetches from Eduard, but I'm not 100% sure if it would fit. It's described as MH53E Sea Dragon, so I guess it wouldn'f fit. I'll try to find more info about IDAS/MATT to see the differences. 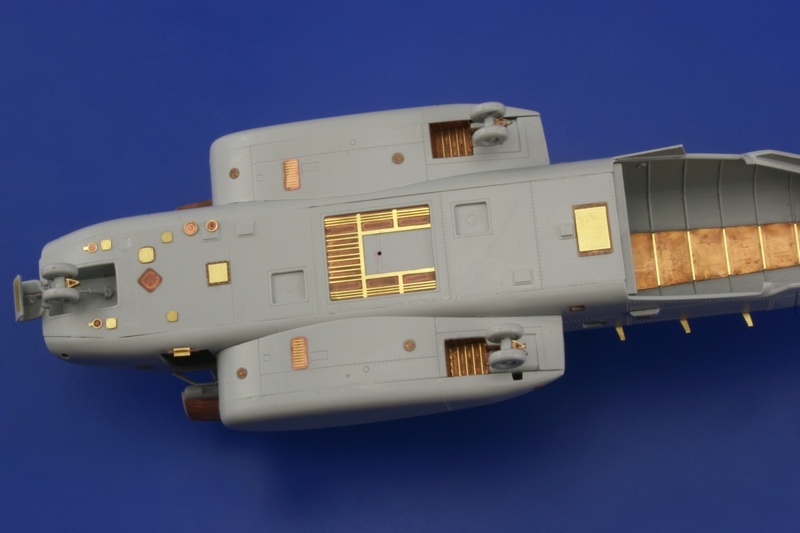 I don't think there is a 1/72 Pave Low IV conversion set. I have seen a couple conversion sets for the Revell 1/48th scale CH-53D kit for a Pave Low III, but nothing in 1/72. Most seem to be the sponson-top sensors and internal upgrades. It shouldn't be too hard to update. I've just bought an Italeri MH-53J kit, 1/72, and I'd like to ask you if you know some upgrade kit to convert it to a M (Pave Low IV) version. I'd like to build some of the last over Iraq.